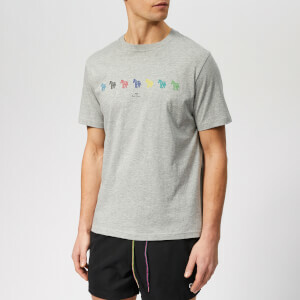 Slim fit grey T-shirt from French fashion house, Lanvin. 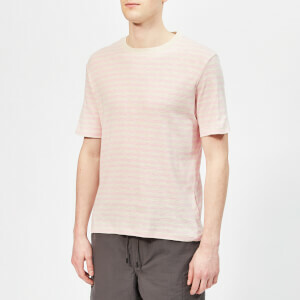 Cut from soft mercerised cotton jersey with a rib-knit crew neckline, short sleeves and a straight hem. 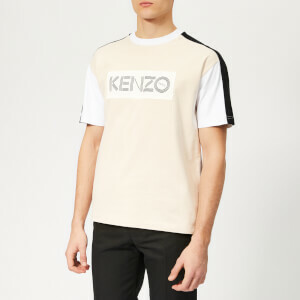 The T-shirt features the brand's 'Barre' print with a Lanvin logo and a reflective metallic strip to create a censored effect. Tonal stitching throughout. 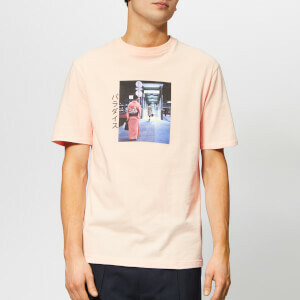 Main: 100% Cotton. Print: 100% Polyurethane.